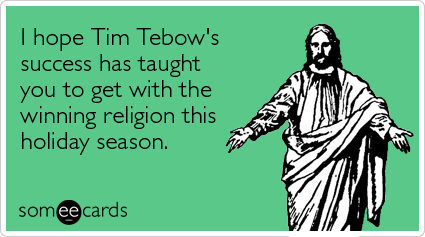 I love Jesus, but that does not mean I have to like Tim Tebow. Contrary to popular belief, I don’t think they have to go hand in hand. I find Tebow highly annoying. But nevertheless, this is funny.